Commentary: Two Native American women are headed to Congress. This is why it matters. History was made, twice over, in Tuesday's midterm elections, when two Native American women defeated their opponents. Deb Haaland, a Laguna Pueblo from New Mexico, and Sharice Davids, a member of the Ho-Chunk Nation from Kansas, are heading to Congress, the first Native American women to do so. Throughout Indian Country, as the interconnected community of Native Americans is affectionately known, indigenous people were overjoyed. On a night of many firsts (the first Muslim women were elected to Congress, and Davids is also the first openly gay woman elected to represent Kansas), the victories by Davids and Haaland were partly about representation. "I never imagined a world where I would be represented by someone who looks like me," Haaland said in her victory speech, to thundering cheers. These wins are profoundly personal for Native Americans, who were made citizens of this country only in 1924 and weren't afforded the right in some states to vote until 1948. The election of two Native American women is about more than a marginalized group seeing two of their own in Congress, as momentous as that is. For Native American women, this was also about asserting their ancestral right to leadership in a society that has overlooked and undermined the power of indigenous women. Native American women held tremendous power in pre-Colonial, egalitarian societies across the Americas. Yet as a result of generations of settler colonialism, indigenous women have been made invisible, virtually written out of history and out of leadership by Colonial officials. In pre-Colonial nations such as the Haundenosaunee Confederacy of the northeast woodlands, clan mothers played central roles in ensuring balance in governance and were responsible for appointing tribal leaders and chiefs. The clan mothers often had the first and the last say, sometimes being the deciding factor in determining whether the men went to war, and served as respected counselors for their clans and the communities. In fact, it was the Haudenosaunee Confederacy that largely inspired the formation of the nation's representative democracy. American democracy began tragically out of balance, though, because of the fatal flaw wherein women were written out of governance. Among the Dine of the southwest, a matrilineal nation, it was always the Dine women who owned property, and clans were and still are passed down through the women's lineage. As was with the Haudenosaunee and many other tribal nations during the point of contact with early settlers, Dine women were simply not given the same deference as men when it came to recognition from the settler officials. The delicate balance achieved in many tribal nations, where women and men each held valued roles in the community, was fractured by colonization. The spiritual lifeways of indigenous people, which deeply valued feminine life sources - Mother Earth above all - was also undermined by the forced assimilation of indigenous people by way of federal government policies. Men were designated heads of household by Indian agents in the early reservation era, and the patriarchal conference of last names through the father functioned to replace any semblance of traditional gender balance in the home. Settlers also saw indigenous women virtually in the same manner that they perceived the land: there for the taking. Thus, indigenous women have suffered generations of physical and sexual assaults at the hands of white men and Colonial forces. Today, Native American women remain the most likely demographic to experience sexual and physical assault. This bitter history of colonialism, brutality and forced assimilation brought once-thriving tribal nations to their knees. The United States is built on that legacy, however absent that legacy is from school textbooks and public conversation. The historic wins of Davids and Haaland, and the many other victories for Native American women in elections nationwide, are indicative of an ongoing movement among indigenous people today to decolonize and reconnect to the strength of who we once were: nations with strong women, with gender equity and with women as valued leaders in the community. Beyond gender, the wins of Davids and Haaland are significant for Native Americans. In addition to a long and sordid history of disenfranchisement, voter suppression continues to be a concern in tribal communities, most recently with legislation passed in North Dakota that created obstacles for Native American voters in the state. Anecdotally, there is a lingering apprehension among many Native Americans who struggle to fully trust in the American political system, as the federal government has eroded tribal sovereignty, stifled indigenous agency, and created federal policy that has disenfranchised tribal communities to the point of generational poverty and despair. In Albuquerque, Haaland spoke to some of those disparities. "Seventy years ago, Native Americans right here in New Mexico couldn't vote," she said. "I want to tell everyone in this room: People who have been under attack who deserve never to be erased, I see you, I'm listening." 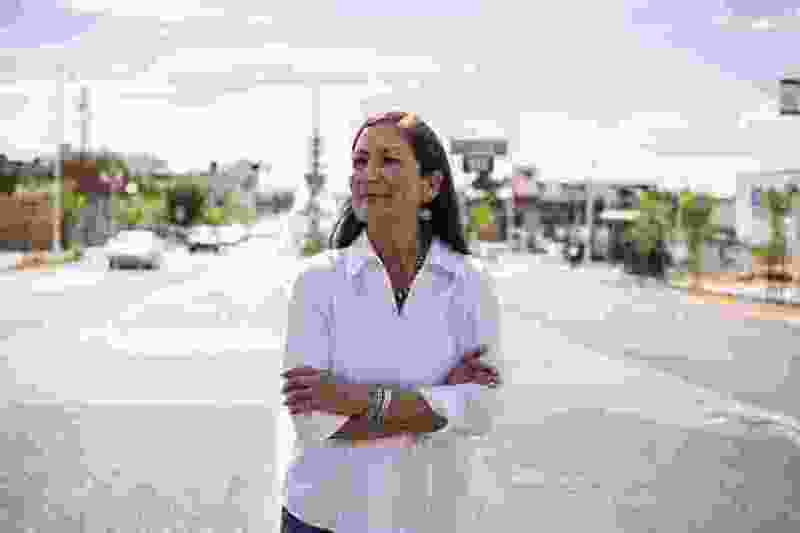 The Haaland and Davids victories, along with the dignified campaigns of other indigenous female candidates such as Paulette Jordan, who lost her bid to be governor of Idaho, have galvanized Indian Country. "Going to bed (tonight) a queer, Indigenous womxn who watched a womxn from her tribe, and a fellow queer Indigenous friend be elected as the first Native women to Congress," wrote Eryn Wise, a Jicarilla Apache and Laguna Pueblo who is an activist and organizer. "I'm so thankful to be Indigenous, and I'm so proud of these relatives! I hope all the grandmas in the spirit world are screaming, because I sure as hell am." It’s not just about political power; it’s about reconnecting to the power of indigenous women, and to the respect of all feminine life sources, including a foundational reverence to our Mother Earth. Imagine the world that sort of reverence and balance will create. With thoughtful and intelligent indigenous women at the helm of leadership once again, it’s not out of reach. 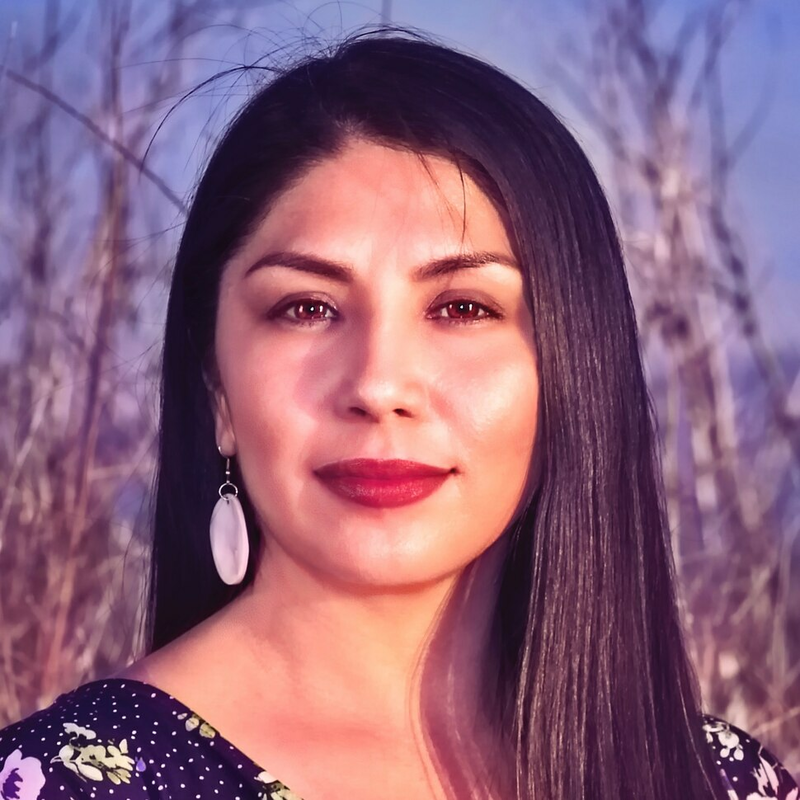 Sarah Sunshine Manning (Shoshone-Paiute) is a writer, producer and host of the “While Indigenous” podcast, and communications director for the NDN Collective.